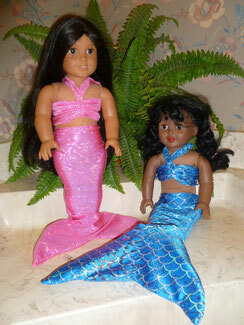 Sparkly Swimmable Mermaid Tails and more! 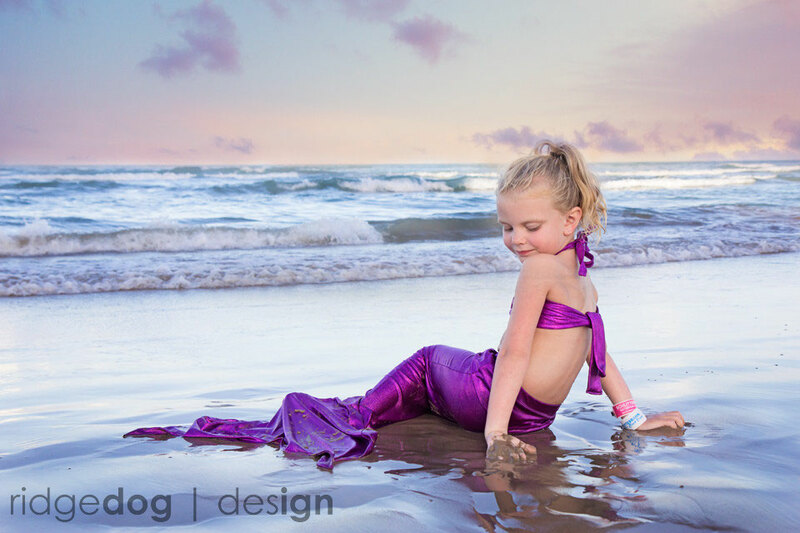 Mermaid tails are fun for swimming, dress-up, and bathtub play. 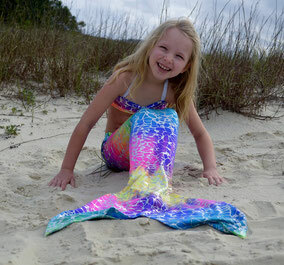 Swimming in a mermaid tail is great exercise, too! 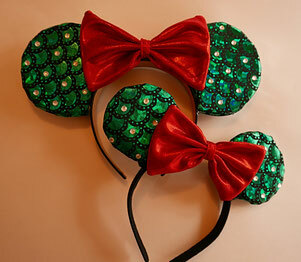 My tails are hand-made with care. Although all fabrics will wear with use and chlorine exposure, I choose fabrics that have been tested to wear well. 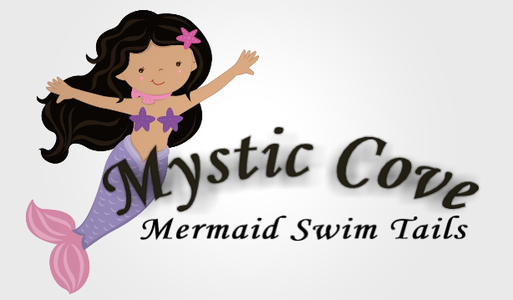 Mystic Cove Mermaid tails are all fabric (nylon-spandex) and can be used with or without a monofin. The bottom is partially open to allow mermaids to walk in their tails or for easy insertion of the monofin.